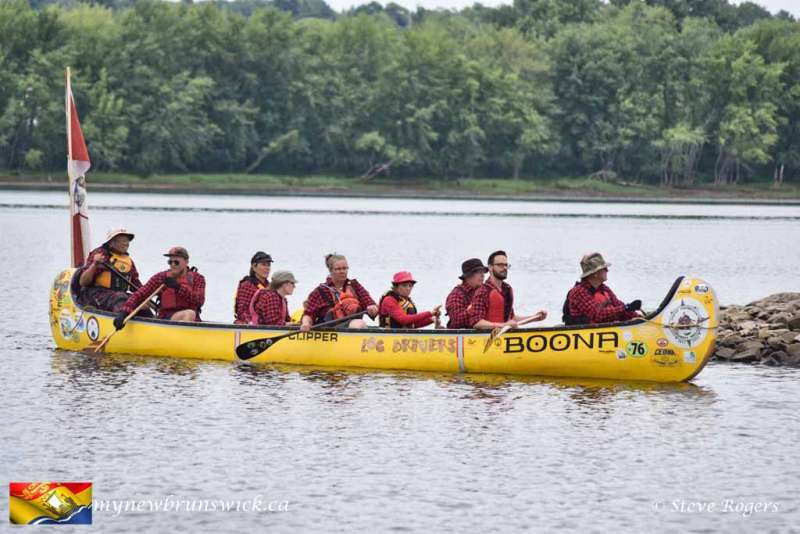 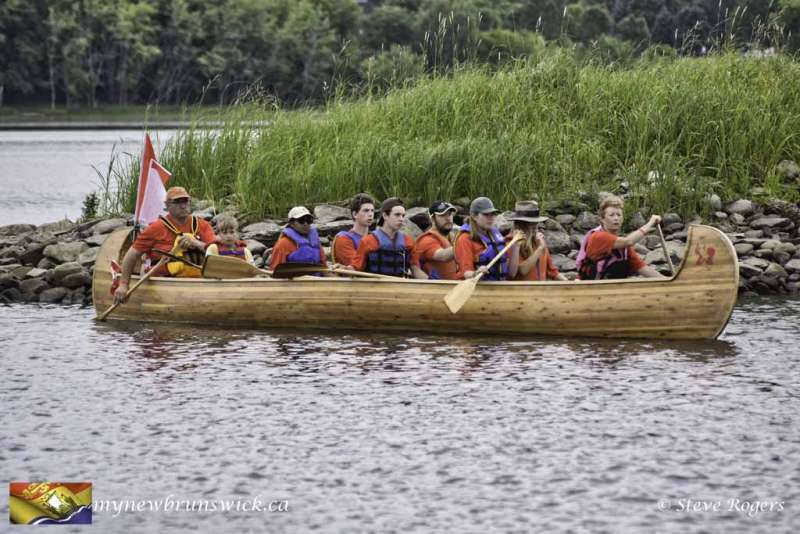 Paddlers in brigades across the country, under the Voyageur Brigade Society, are making treks to celebrate not only Canada 150 but the canoe as a Canadian symbol, the country’s water stewardship and its history of cultural co-operation. 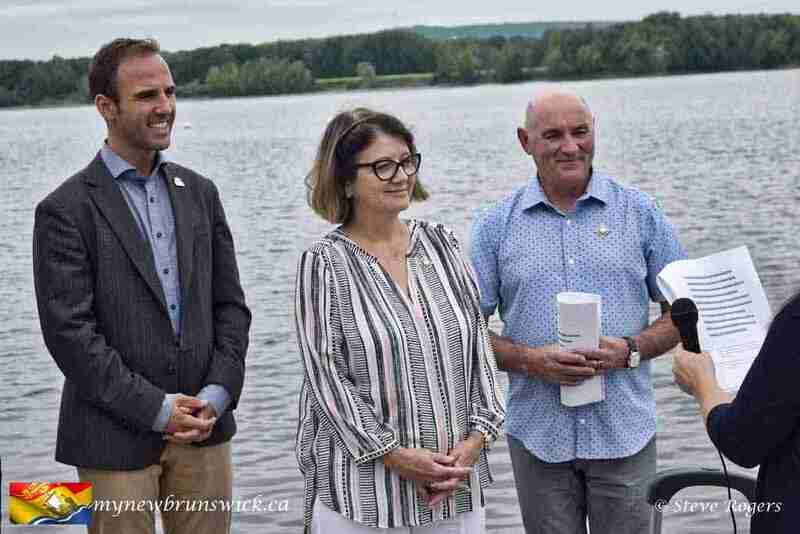 The Honourable Jocelyne Roy Vienneau, Lieutenant Governor of New Brunswick graciously agreed to serve as Honorary Patron for the Brigade. 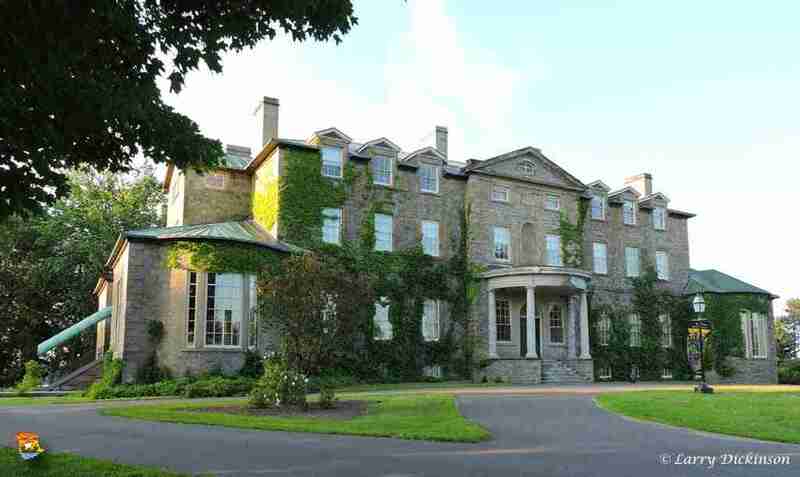 Her Honour invited members of the Brigade to use the grounds of Government House as their camp during their stop in Fredericton on July 18, 2017. 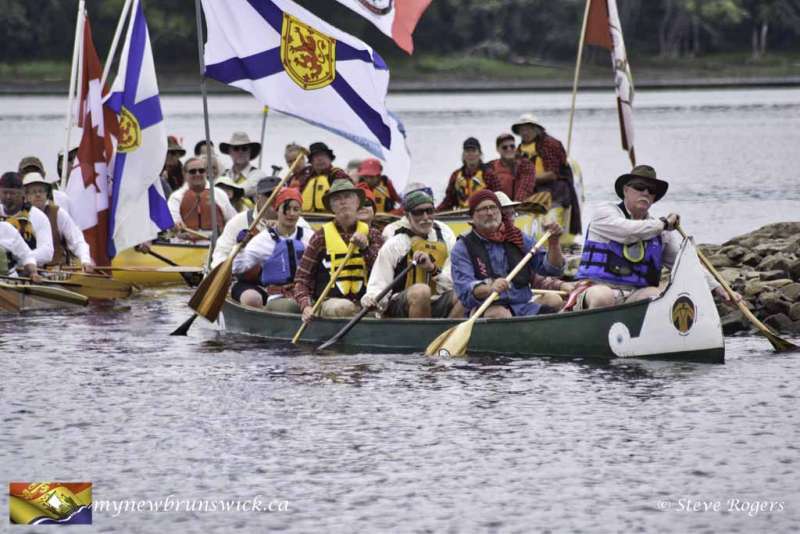 The Brigade is following the St. John River, one of Canada’s Heritage Rivers, from its mid point in New Brunswick to the Bay of Fundy. 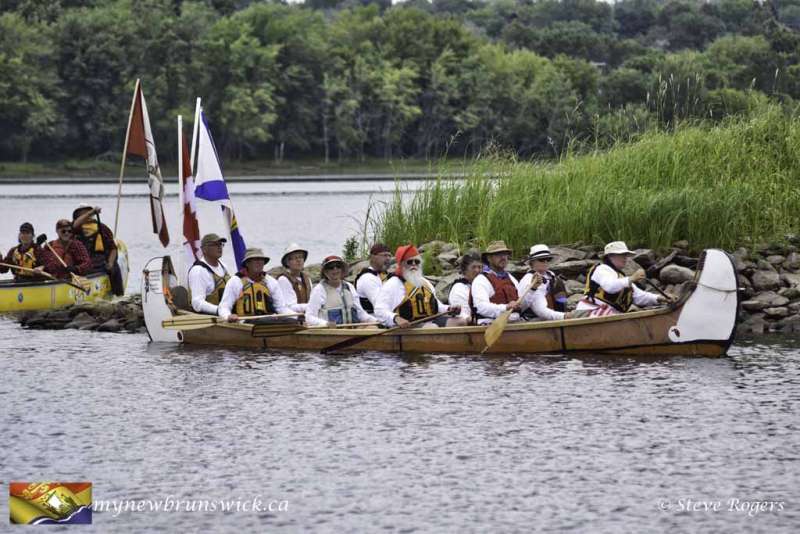 From beginning to end, the St. John River is rich in history. 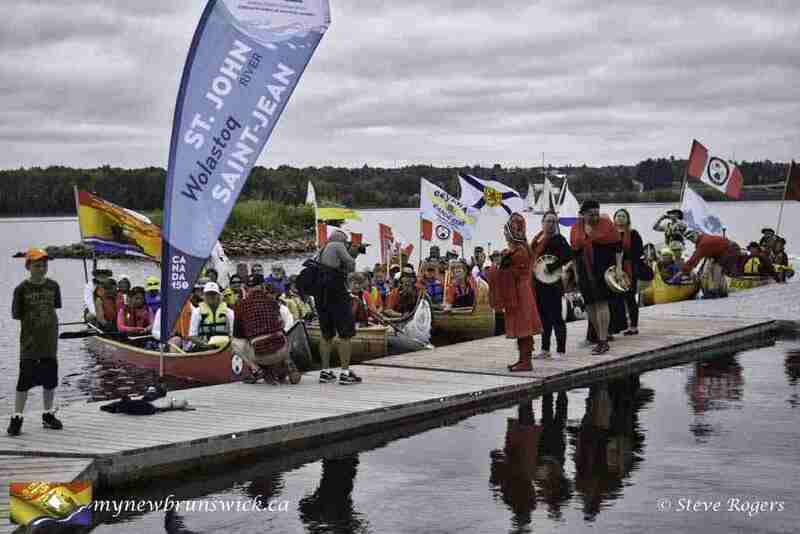 To the Wolastoqiyik, the original inhabitants of the St. John River region, the river was the ‘Wolastoq’, the good and bountiful river. 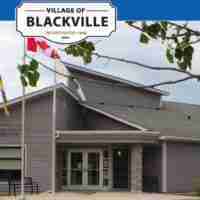 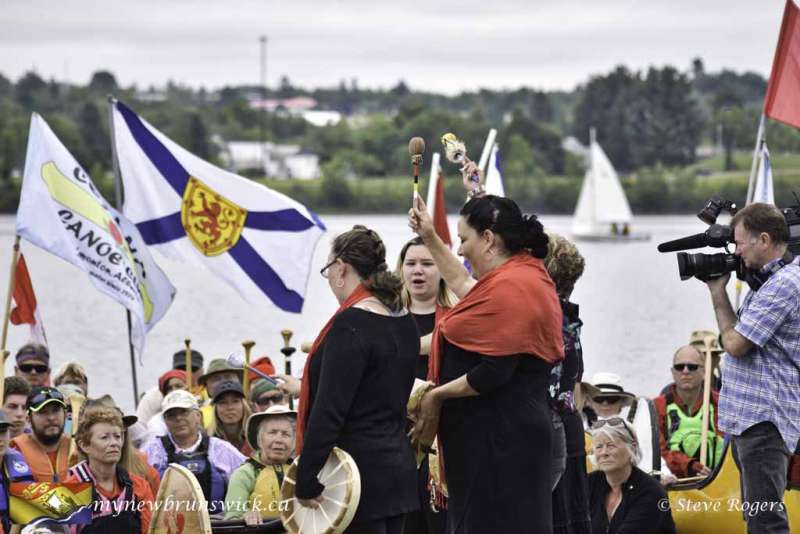 The Wolastoqiyik kept pace with the changing economy brought by European colonization, war and industrialization. 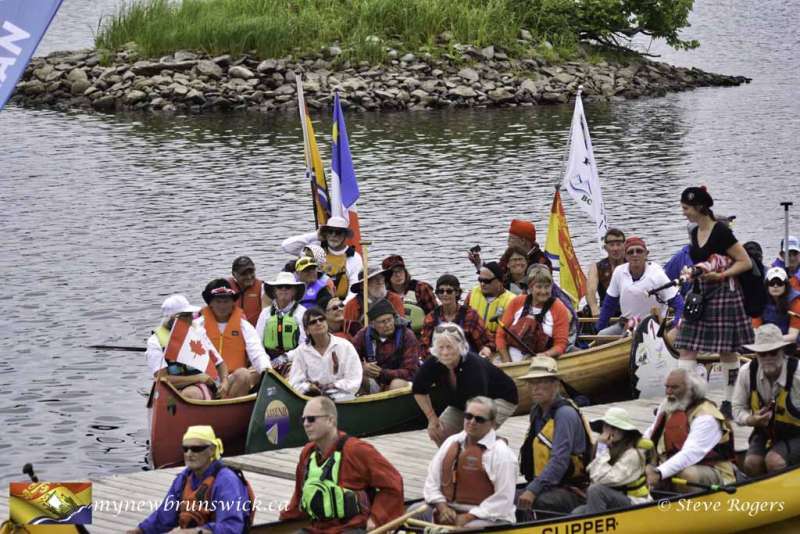 Today, they are a strong community that still identifies with their river. 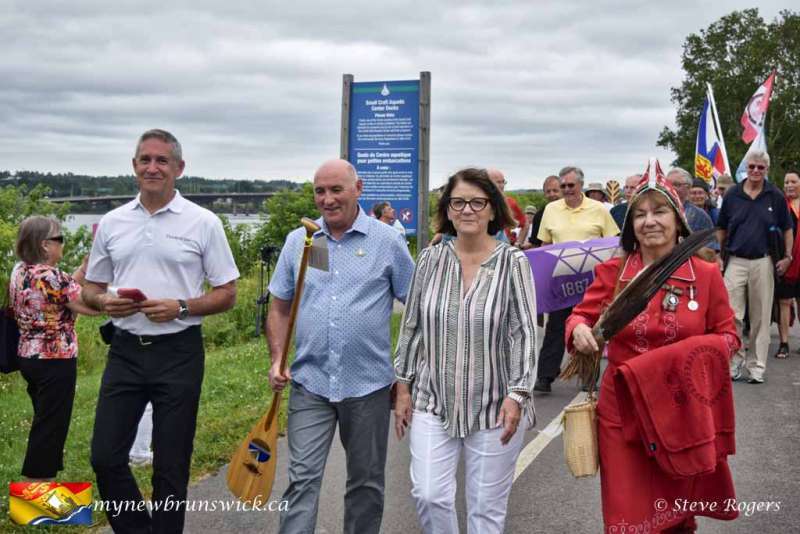 Many waterways in the St. John system have retained their aboriginal names, among them: Tobique, Meduxnekeag and Nashwaak. 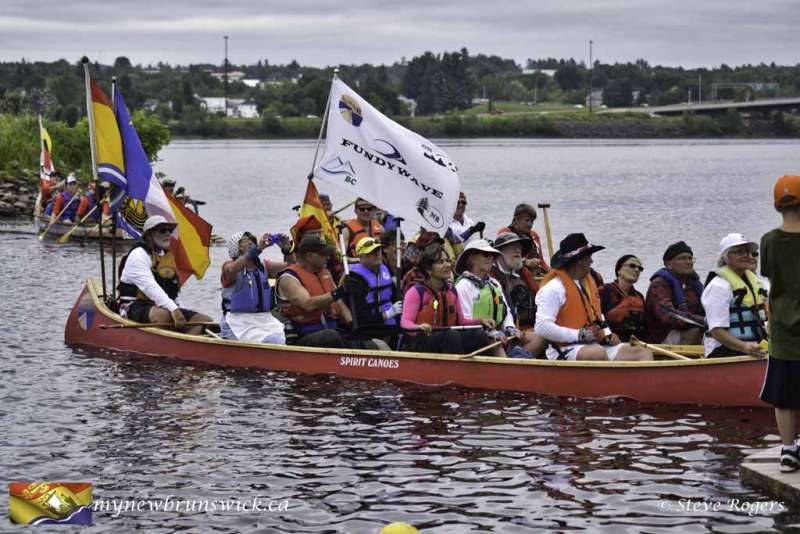 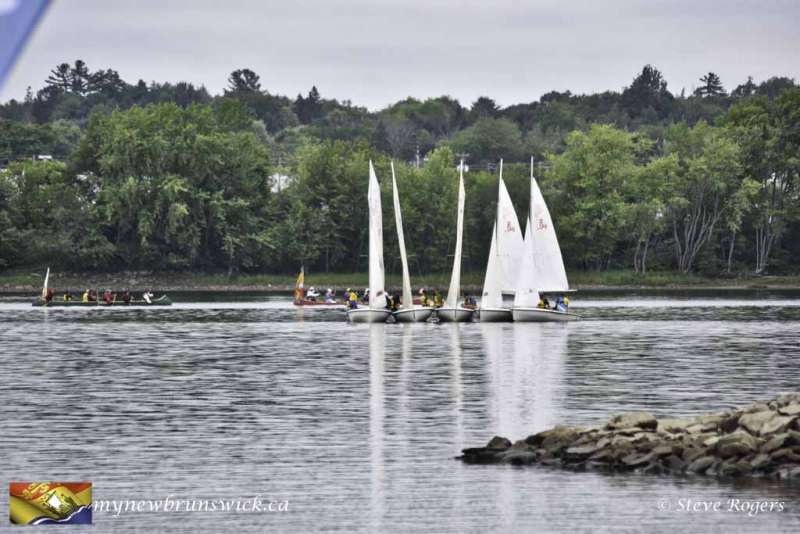 The Brigade started at Florenceville and finishes with a short paddle through the harbour in Saint John. 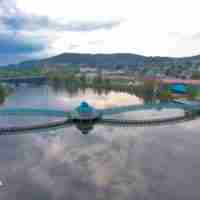 Most days sees the brigade cover between 40 and 60 kilometers. 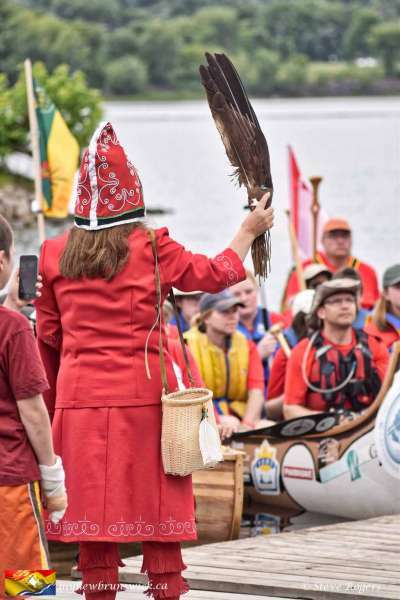 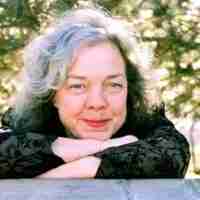 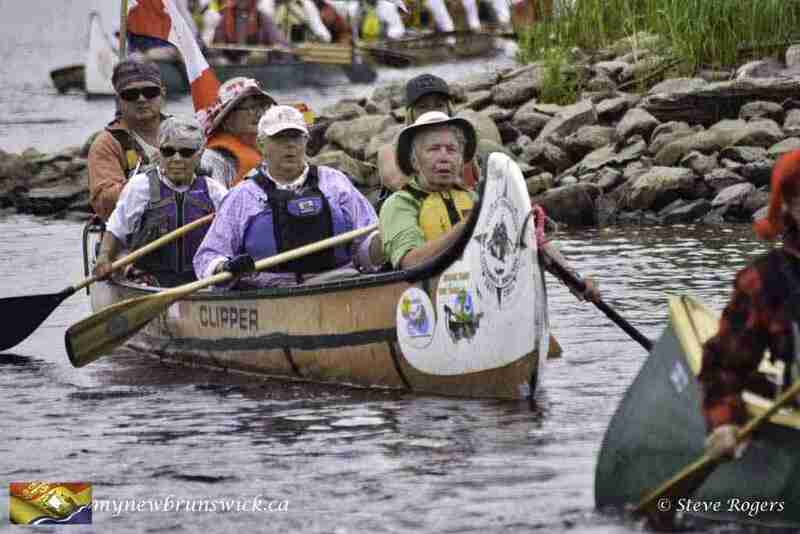 Voyageur Brigades celebrate the heritage of the river and its communities. 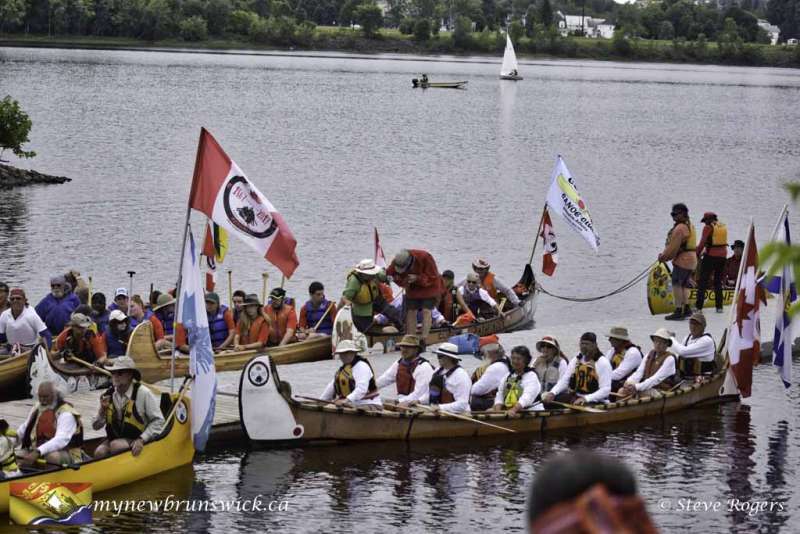 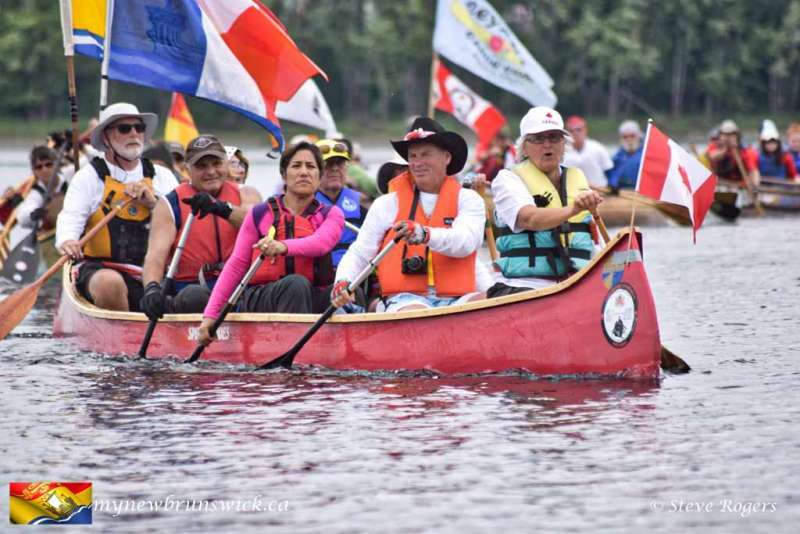 Paddlers in the brigades across the country, under the Voyageur Brigade Society, are making their treks to celebrate not only Canada 150 but the canoe as a Canadian symbol, the country’s water stewardship and its history of cultural co-operation. 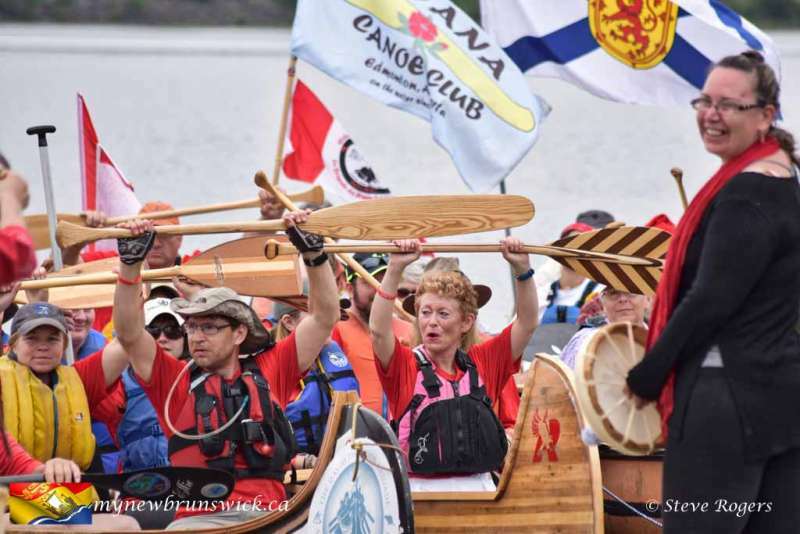 The brigade will finish their journey in Saint John by paddling through the Reversing Falls to the Saint John City Centre.